Brea was put on the map by stuff that bubbled up from underground. Oil. Black Gold. Texas Tea…OK, so it wasn’t the home of the Beverly Hillbillies, but you get the idea. The very name “Brea” refers to the greasy, black ooze seeping out of the ground that was here long before oil companies came to harvest it. The Native Americans used it as medicine. The Spanish Rancheros used it to waterproof their roofs. 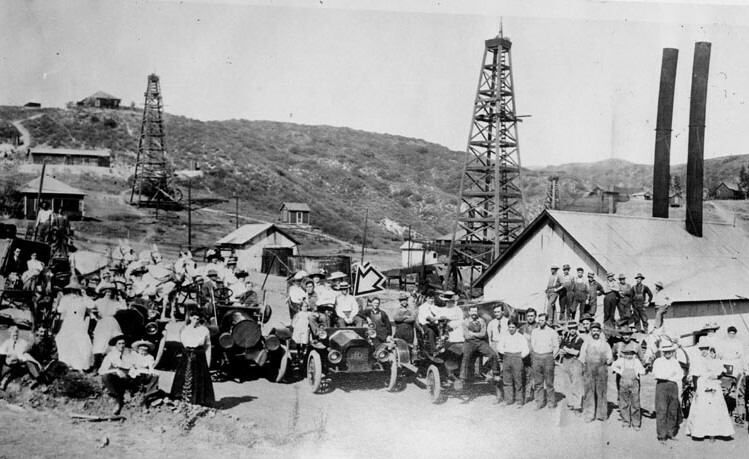 In 1894, The Stearns Ranch Company sold 1,200 acres to Union Oil and, when the first oil well came in in 1898, Brea became a boom town. 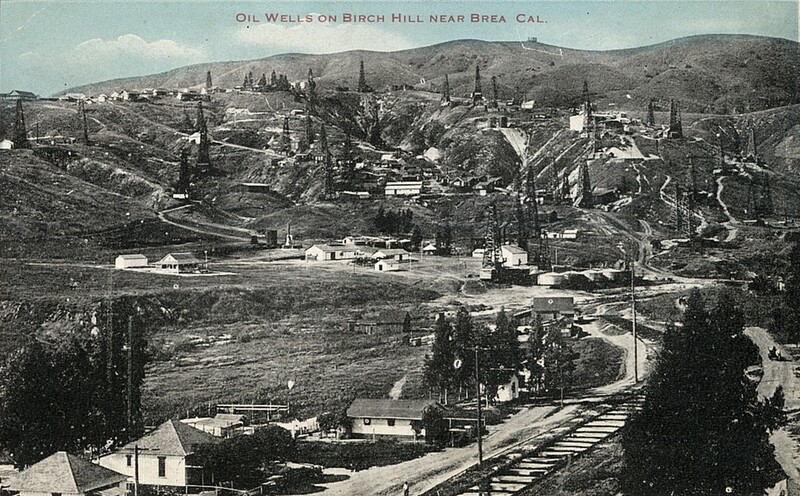 There was no city of Brea back then, only a small settlement called Olinda that surrounded the oil fields. The first town appeared in 1911 as businesses and small industries popped up to serve the workers and their families. The town was named Randolph, after a Pacific Railroad engineer. 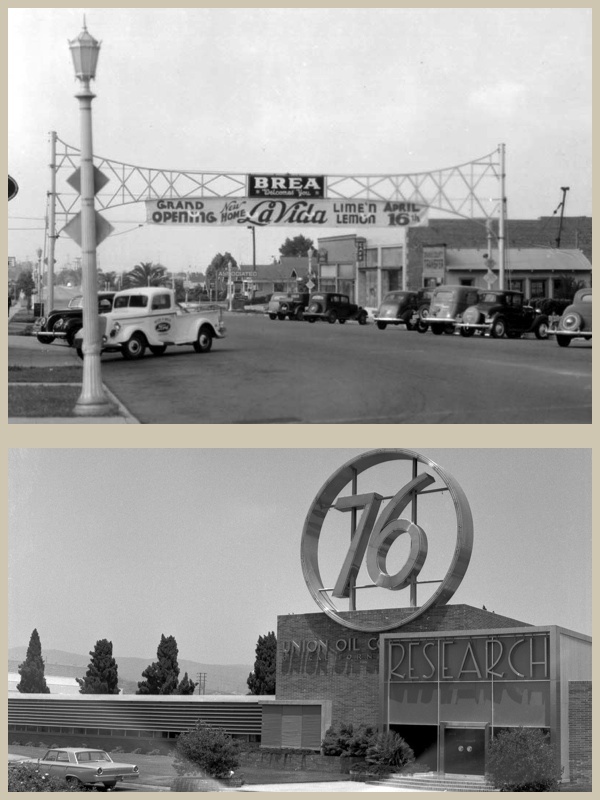 The name was changed to Brea after the Pacific Electric Railway extended through the town. 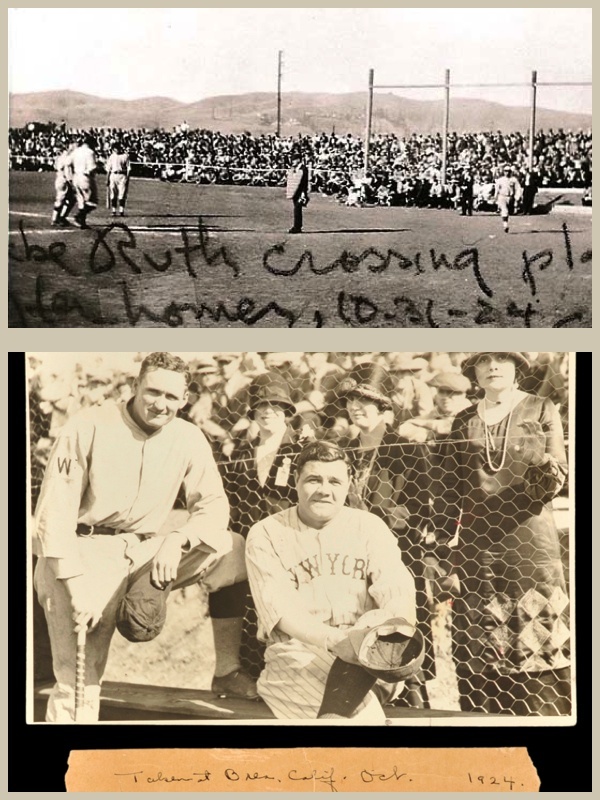 In 1924, baseball history was made in Brea. Hall of Fame pitcher Walter Johnson, who grew up in the Olinda oil fields, came to his home town to host a charity exhibition game. Johnson would have been enough of a draw, but it was a member of the other team, Babe Ruth, that made the game at the Brea Bowl even more extraordinary. Following the big oil boom, land around the city began transforming from sheep ranches to orange groves. The Bastanchury Ranch Company in La Habra, Fullerton and Brea was said to have the largest citrus groves in the world, which included over 5,350 acres of oranges during the 1920’s. EVen the Union Oil Company saw the success and began growing citrus on its undeveloped land. But after World War II, high demand for housing encouraged landowners to plow under their citrus groves and grow housing tracts instead. The opening of the Orange Freeway (57) and the Brea Mall in the 1970s spurred further residential development. 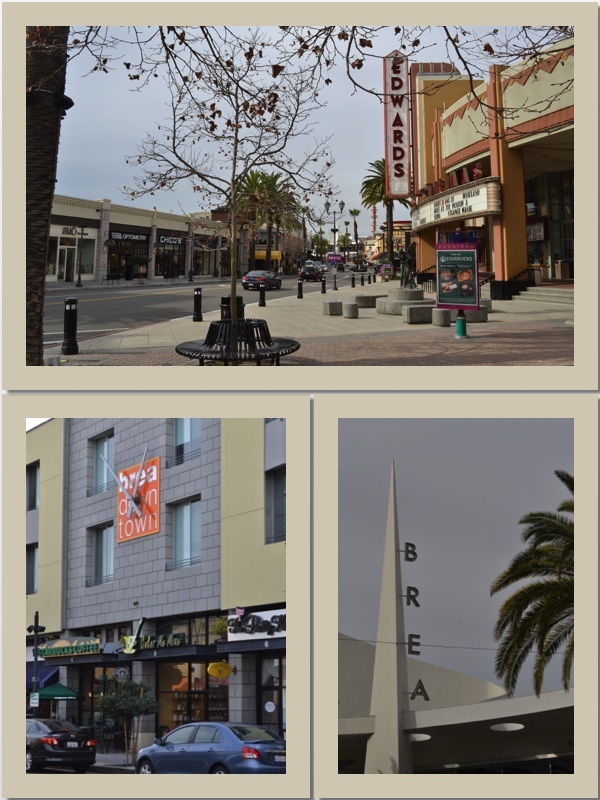 Today, Brea is a city of over 40,000 residents. The Brea Mall continues to be a major draw to the area, ever since its opening in 1977. It is joined by a busy downtown district unofficially known as “Birch Street” with over 50 acres of shopping and entertainment. The pedestrian-friendly promenade gives the city more of an urban center, with such anchors as Taps Fish House & Brewery, and Improv Comedy Club, and an Edwards Stadium Cinema. To get a sense of historic Brea, you can still visit City Hall Park which feature public buildings that were built in1929. 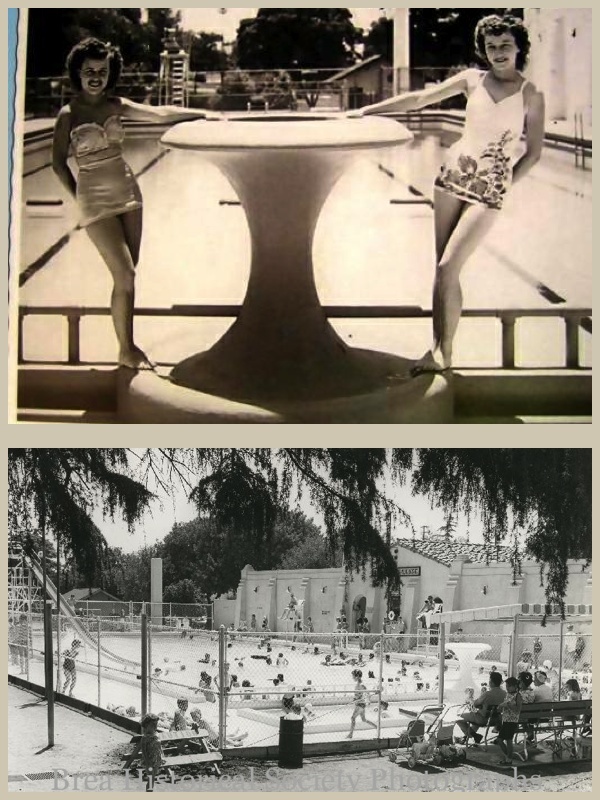 The City Hall building, a municipal pool called “The Plunge” and the American Legion Hall have all been lovingly restored and are still used by the public today. Every summer, City Hall Park is home to summer concerts and a July 4th Country Fair.